In 1061, the Italian cardinal bishop of Ostia, Petrus Damiani (1007-1072), wrote a letter to the pope-elect Alexander II (pope from 1961 to 1073), and to Archdeacon Hildebrand (who was Pope Gregory VII from 1073 to 1085), complaining that priests were playing chess (scacorum). He was particularly outraged that his traveling companion, the Bishop of Florence, was seen playing chess in public (a hotel). Damaini labeled chess as a game of chance, like dice, which was banned. Damaini was ignorant of chess and prejudiced against it. He said that playing chess made" a buffoon of a priest." Damiani's complaint and denunciation of chess led to a number of ecclesiastical decrees which put chess among the games forbidden to the clergy and monastic orders. Damiani became a saint and was made a Doctor of the Roman Catholic Church by Pope Leo XII in 1828. In 1851, several chess players complained about the arrangement that Adolf Anderssen (1818-1879) of Germany and Jozsef Szen (1805-1857) of Hungary made. At the first international chess tournament held in London, Anderssen and Szen agreed that if either player took 1st place, he would pay 1/3 of his prize money to the other person. Anderssen easily won his game from Szen in round 2. Szen took 5th place. This may not have been considered unethical. First place was 183 British pounds and a silver cup. James Glover Grundy (1855-1919) was an English-American chess master. In 1880, going into the last round of the 5th American Chess Congress in New York, the leading scores were: James Grundy 12.5, Preston Ware 12.5, Charles Moehle 12.5 and George Henry Mackenzie 12.5. So, the distribution of $1,000 prize money and a gold medal depended on the final games. Mackenzie won his game and scored 13.5. Then Moehle drew and scored 13 points. But Grundy's game with Ware lingered on. At one time it appeared that Ware had a certain win and the game was adjourned. Unaccountably to the onlookers, when the players resumed in the evening, Ware played what are described as 'some apparently purposeless moves', and Grundy scored a lucky point after 64 moves to tie Captain Mackenzie for first and second prizes. A two-game play-off was arranged between Mackenzie and Grundy. But before it began, Ware made a written complaint to the congress committee. Ware wrote, "As I was walking down the Bowery with Mr. Grundy, on Sunday 25 January, he remarked that he was poor and really needed the second prize." Ware alleged that Grundy had offered him $20 to play for a draw. He admitted that he had fallen in with the plan and that, even with a won game, he merely � in his own words � "moved back and forward as agreed. Grundy was making desperate efforts to win, and finally did so, perpetrating an infamous fraud on me." The committee couldn't do anything about the unsupported allegations, and conceded to Grundy the benefit of a technical doubt. Grundy lost the play-off 2-0 and took the $300 second prize. In 1889, Isidor Gunsberg complained that the Vienna paper Volksblatt was reporting fake news about the abortive Chigorin-Ginsberg match. Gunsberg sued the newspaper for libel. This was the first chess libel suit on record. The newspaper was found guilty and fined for publishing a �libelous paragraph� about the abortive Chigorin-Ginsberg match. According to Gunsberg, Chigorin suppressed the correct facts of the match negotiations and the false insinuation was taken up by the newspaper. In 1897, during his match with Emanuel Lasker, Steinitz complained of a migraine headache during the 4th game, and held a bag of ice cubes against his head throughout the game. In 1898, Prince Balaschoff hired Samuel Rosenthal to be his chess teacher for 500 francs a month and 1,000 francs with Rosenthal accompanied Prince Balaschoff when he travelled. After about 6 months, Prince Balaschoff got rid of Rosenthal. Rosenthal complained that he was owed money and took it to court in Paris. Rosenthal brought an action to recover 15,000 francs of pay according to agreements, 1,000 francs for their last journey, and 25,000 francs indemnity for sudden dismissal, and for loss of profits by non-publication of the chess work on which they had been engaged. The court awarded Rosenthal 15,000 francs for salary according to agreements, but rejected all his other demands. David Janowski was famous for his complaints which served as alibis when he lost. At one tournament, every one of his requests was granted and for the first he had nothing to complain about. When he lost the tournament he said, "You have deprived me of any alibi. How did you expect me to play good chess?" In 1913, at a tournament in Havana, Charles Jaffe (1879-1941) drew his game with Frank Marshall (1877-1944) in the first round, and later, lost his next game to Marshall, blundering away his queen for a rook and then promptly resigned. Jose Capablanca (1888-1942), who lost to Marshall and Jaffe, complained that Jaffe intentionally lost his game to Marshall so that Marshall would win the tournament ahead of Capablanca. It was alleged that Capablanca influenced tournament organizers in the USA and Cuba so that Jaffe would be unable to be invited or play in major tournaments after this, especially tournaments in which Capablanca was playing. Jaffe never played again in a tournament where Capablanca also participated. In 1916, Jaffe was involved in a court battle involving non-inclusion for publication of some of his chess analysis. Jaffe complained and brought suit to recover $750 for work alleged to have been done in analyzing the Rice Gambit that was never published for a book called �Twenty Years of the Rice Gambit.� Jaffe lost the case, since the publisher never asked Jaffe to do any analytical work for him. During the 1917 Russian Revolution, Aaron Nimzowitsch (1886-1935) was in the Baltic war zone (Latvia) and escaped being drafted into the military service in Russia by complaining that a fly was on his head. �In March-April 1924, Emanuel Lasker, age 55, won the New York International, ahead of world champion Capablanca and Alexander Alekhine. He won 13, drew 6, and lost 1 (to Capablanca). Lasker got $1,500 (equivalent to $21,000 in today's currency) for his first prize and a generous payment for expenses, and still complained about the money. In 1929, Dr. Norbert L. Lederer lodged a formal complaint against Dr. Emanuel Lasker to the judiciary committee of the National Chess Federation. Lederer stated that Lasker had published statements reflecting upon his character, as well as upon the executive committee of the 1924 New York International tournament (Lederer was the tournament director). In 1931, Emanuel Lasker contributed to a book called Hundert Autoren gegen Einstein (Hundred Authors vs. Einstein). Lasker argued that Einstein's deduction of relativity overlooks the experience of empty space and that the speed of light was not constant. He said the Einstein's method of deduction was thoroughly indecisive and the method of dispute that Einstein followed was unimportant. Lasker also complained that his critical publications on relativity were not received by the relativists. In 1936, half way through the Moscow 1936 International tournament, Stalin came to see Capablanca. Capablanca complained to Stalin that the Soviet players were cheating. Capablanca complained that the Soviet players were losing the games on purpose so that Botvinnik would win. He said the Soviet players also made quick draws to get some rest, then fight hard and long against Capablanca to get him tired. Stalin must have done something about it because the cheating stopped after that. Capablanca won the event. In 1962, Bobby Fischer (1943-2008) complained that the Russians prearranged draws against each other in order to conserve energy for play against him. Fischer's article "The Russian Have Fixed World Chess," appeared in Sports Illustrated. This led to the tournament system being scrapped in favor of a series of elimination matches. Years later, Viktor Korchnoi confirmed that the Soviet players were cheating and ganging up on Westerners in tournaments and throwing key games when necessary, including at Curacao. In 1967, at the Sousse Interzonal, Fischer fought with the officials, complained about the lights, objected to the noise, threatened to smash a news photographer's camera. He complained about the glare from the glittering chandelier in the ballroom of the Sousse Palace Hotel, where the tournament was being held, and when the U.S. Ambassador, Francis Russell, came to lunch, Bobby would not allow even the Ambassador to take his picture. And then Fischer suddenly 1) forfeited a game (he did not agree to the date of his postponed game); 2) withdrew from the tournament; 3) left Sousse for Tunis, 80 miles away; 4) returned to Sousse and began playing brilliantly again; 5) forfeited a second game and left suddenly for Tunis again. He probably would have withdrawn a third time, but it was not necessary. The players and the officials beat him to it. They dropped him from the tournament. In 1967, at the Sousse Interzonal, GM Milan Matulovic was playing Istvan Bilek (1832-2010) and made a move that would have lost a piece. He then took back the move, and then made another move. Bilek complained to the tournament director, but no action was taken to prove that Bilek made the move, and then took it back. The game ended in a draw that Bilek would have won if the move was not taken back. In 1968, Bobby Fischer walked out of the US team at the start of the Chess Olympiad in Lugano, Switzerland, after complaining about the light in the hall. In 1972, during the world championship match between Spassky and Fischer, Fischer complained of the lighting, the noise of the cameras, and the chairs they had to sit in. Fischer finally ordered his chair from the United States be delivered to him. In 1972, during the world championship match between Spassky and Fischer, Spassky began complaining of a mysterious contraption hidden in the room that was sapping his energy nad giving him hallucinations. The furniture, chair, and light fittings were disassembled to mollify Spassky. All that was found were two dead flies. In 1972, after Bobby Fischer returned home from Iceland after winning the World Chess Championship, complained that President Nixon had failed to invite him to the White House. In 1973, William Lombardy, who worked as a priest in the Bronx, left, complaining of unscrupulous pastors who objected to his playing chess. Cardinal Terence Cooke told Lombardy. "Chess is nothing but pushing meaningless wooden pieces across a wooden board." In 1978, Anatoly Karpov had a parapsychologist in the audience against his world championship match with Korchnoi in Baguio, Philippines. Korchnoi complained and claimed the parapsychologist was distorting his brain waves. Korchnoi then hired his own psychics to counteract the negative vibrations. During the match, Korchnoi complained that Karpov was cheating by receiving different flavors of yogurt during the game. The different flavors were part of coded instructions that Karpov followed. The arbiter treated the accusation seriously and imposed a fixed time of sending yogurt to Karpov. The flavors had to be in writing from Karpov to the arbiter. In 1978, Walter Browne complained about the lighting at the U.S. chess championship in Pasadena. Isaac Kashdan, the tournament director, had the lighting technician meet with Browne the following morning and arrange things to Browne�s satisfaction. The next day, Browne complained about the location of the chess table, which had been moved. Browne then stormed out and was forfeited. Brown then withdrew from the tournament. In 1978, Fischer visited several friends at the US chess championship in Pasadena who were competing and, according to players and officials on the scene, lingered just long enough to circulate obscure political tracts and complain that the Soviet KGB was bugging the fillings in his teeth. In 1981, Bobby Fischer was arrested by police when his description fitted a bank robber's and he refused to answer questions. A year later he published a pamphlet complaining at his treatment entitled I Was Tortured in the Pasadena Jailhouse. In 1983, Anna Akhsharumova was playing the final round of the Soviet Women�s Chess championship against her main competitor, Nana Ioseliani. Anna won the game on time forfeit and should have won the title. But the next day, Ioseliani complained and filed a protest alleging a malfunction in the chess clock. Ioseliani demanded a new game be played. Anna refused to play, so the result of her game with Ioseliani was reversed by the All-Union Board of Referees in Moscow (the tournament itself was being played in Tallinn), thereby forfeiting her title. Anna went from 1st place to 3rd place over this decision. In 1998, Bobby Fischer filed for U.S. Patent 4,884,255 for a new type of chess clock, which gave each player a fixed period at the start of the game and then added a small increment after each completed move. Used in the 1992 rematch between Fischer and Spassky, the "Fischer clock" soon became standard in most major chess tournaments. Fischer would later often complain that he was cheated out of the royalties for this invention. In 1993, Garry Kasparov complained that the chess computers had a database of endgames that it uses to play flawlessly and wanted it banned from Deep Blue. Ken Thompson, responded to Kasparov's complaint with a question: "He has a huge library in his head. Are the computers not allowed to use it?" In 1993, the film, Searching for Bobby Fischer, was released. Fischer claimed he never saw the film and complained bitterly that it was an invasion of his privacy by using his name without his permission. In 1997, Kasparov lost to Deep Blue. Kasparov complained that ""Suddenly [Deep Blue] played like a god for one moment,'' and thought there was some human intervention in his match with the computer. In July 2004, Bobby Fischer was arrested in Tokyo and held at a custody center for 16 days before transferring him to another facility. Fischer claimed that his cell was windowless and he had not seen the light of day during that period, and that the staff had ignored his complaints about constant tobacco smoke in his cell. In 2005, at the HB Global Chess Challenge tournament in Minneapolis, a player was caught repeatedly talking on his cell phone during his game.� Published rules for that event prohibited the use of cell phones during the tournament.� The tournament director suspected that he was receiving moves over the phone from some accomplice.� His results were expunged from the tournament and an ethics complaint was lodged. 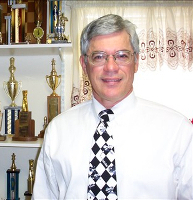 In 2006, a complaint was made by Sam Sloan, a USCF board member, that Robert T Tanner, another member of the USCF Executive Board, had fabricated or manipulated tournament results in the early 1990s to regain the master title that he first earned at legitimate events in 1987. Sloan�s complaint alleged that Tanner achieved the titles of master and �original life master� by playing repeated games in 1992 and 1993 within a closed group of friends who traveled together and gathered in remote places such as Teton, Wyo., Wendover, Nev., and Ceres, Calif. Sloan said the players in the group shared Tanner�s home address, and none of the nine men except Tanner ever competed outside the group. Tanner later resigned from the USCF Executive Board. Tanner�s Dec 4, 2006, resignation letter indicates he stepped down so the board �could continue its important work without being distracted unduly by this affair.� Tanner also said he wanted to focus on reactivating himself as a serious chess player. Tanner maintained he did nothing illegal. He said the matches actually occurred, and the ethics committee supported his claim that the opponents were real people. In 2012, a player, Clark Smiley, was caught using a chess engine (Fritz) on a PDA during the Virginia Scholastic and Collegiate Championships. The player was banned and disqualified from the tournament, had his membership to the Virginia Chess Federation (VCF) revoked, and had an ethics complaint filed to the USCF. Smiley was given permission to use the PDA device to keep a digital record of each move using eNotate � but only for that purpose. But he also had a chess engine installed on the device and was using that to make his moves. In May 2013, Edward Winter rightfully complained that other web sites were lifting Winter�s work from his Winter Notes at www.chesshistory.com. Winter has found many cases of plagiarism of his work. In September 2013, police confiscated chess sets, chess gear, tables, and chairs along Market Street in San Francisco. Police said the games had begun to attract illegal gambling and drug sales, and were getting complaints by nearby merchants. In May 2014, William Lombardy was served with eviction papers because he was over $27,000 behind on his rent. Lombardy just had a double-hip replacement and had asthma. He also complained of broken appliances, a lack of heat, and forced entry into his apartment. In February 2015, there was a complaint from Commercial Director Bob Kane made against the director of Home Chess, Alex Holowczak. The English Chess Federation (ECF) investigated the incident and found that Holowczak breached the Standards of Conduct for ECF Officials, specifically Regulation 4 paragraphs 2.1 and 2.6. He was given a two week suspension from his duty. In April 2015, Armendian Grandmaster Tigran Petrosian complained that his opponent, Georgian champion Gaioz Nigalidze, was taking too many bathroom breaks and suspected he was cheating during the Dubai Open. �Nigalidze would promptly reply to my moves and then literally run to the toilet,� Petrosian said after his match. �I noticed that he would always visit the same toilet partition, which was strange, since two other partitions weren�t occupied.� A tournament director inspected the bathroom and did find a smartphone belonging to Nigalidze. It was logged into his social-networking account and had his chess moves being analyzed by a chess engine app. In May 2015, GM Praveen Thipsay complained that his 19-year-old opponent, rated 1517 and 900 points lower than Thipsay, might be cheating. Long before the game ended GM Thipsay had complained to chief arbiter. "I noticed that he was taking around two minutes for every move, whether it was a complex move or a simple piece-capture with a pawn," Thipsay told The Hindu. "I expressed my doubts to the chief arbiter, who asked me to continue. By the 29th move, I was clearly lost and chose to offer a draw. He promptly declined the offer. My doubts stood confirmed when he missed simple winning lines, as though he waited for a confirmation from someone. At times I thought he misheard the move and played incorrectly.� Thipsay lost in 87 moves against his cheating opponent. On March 1-18, 2016, Hou Yifan (rated 2667) reclaimed the Women's World Chess Championship title when she defeated Mariya Muzychuk (rated 2563), held in Lviv, Ukraine (Muzychuk's home town). During the match, Muzychuk complained that Hou was wearing jeans and against the dress code (there was no dress code in the contract). Muzychuk also complained that Hou's bottled oil smelled bad and disturbed her thinking. Hou never actually opened her bottle of oil. This Women's World Chess Championship was played in a small room at the Potocki Palace and allowed no spectators. The room was part of an art gallery. Main arbiter Carol Jarecki complained about one painting and had one painting removed titled "Chronos disarms Cupid." She felt that a naked Cupid was not appropriated to appear in any photo of the match. In September 2016, at the 42nd Chess Olympiad in Baku, Azerbaijan, there were several complaints by the chess players on the anti-cheating measures. A petition was circulated by Jonathan Speelman and others regarding the mandatory notification of the arbiter when leaving the playing area (the petition concentrated on toilet visits). Reasons given for this protesting against this "noxious" rule included: the FIDE rule that the toilet is part of the playing area; an indication it was "humiliating" for players to discuss bodily functions with arbiters (and embarrassing for the arbiters); a note that the Match Arbiter was not always available, rendering it difficult to always comply with the rule; an argument that frequent toilet trips did not indicate cheating, and a request that players not be penalized merely for this; and an argument that the opponent might gain information from seeing a player notify the arbiter by moving as soon as they left for the bathroom visit. The response by Chief Arbiter Faiq Hasanov noted only that the third complaint was legitimate, and that "common sense" should apply. In February 2017, Hou Yifan, the world�s top female chess player, complained that she was being paired against mostly female chess players at the Tradewise Gibraltar Chess Festival. In protest, she resigned after 5 moves in the final round against Babu Lalith of India. Hou later apologized to fans in a video on the open event�s website, but said she was upset by the �unbelievable and weird pairings� after playing against seven women in ten rounds. In September 2017, Canadian grandmaster Anton Kovalyov was forfeited from the World Cup in Tbilisi, Georgia, for wearing plaid shorts. Kovalyov was called a gypsy before the forfeiting and said, �the issue was not the shorts, but How I was treated.� The Canadian Chess Federation lodged a formal complaint with FIDE after their top chess player was berated for wearing shorts and called a �Gypsy� by an official, Zurab Azmaiparashvili, at the World Cup. While the dress code set out by the world chess federation does not prohibit shorts, it stipulates that players are expected to maintain a �dignified appearance� and those with �unkempt or greasy hair should be admonished, as well as those wearing old or torn jeans and battered attire generally�. Canada�s chess federation sent emails complaining of Kovalyov�s treatment to various entities in the World Chess Federation as well as to organizers of the tournament. On January 11, 2018, the European Chess Union (ECU) filed a criminal complaint in Slovenia against any responsible for the shadow operations of the offshore company ECU LLC Delaware and the faked ECU Bank account in Slovenia involved in known transactions more than 1 million euros. In July 2018, several women complained about the English Chess Federation (ECF), accusing the ECF of sexism after rejecting several female candidates for a top role promoting the game to women � and instead handling it to a man. One female applicant, a senior HR executive in her 40s, wasn�t even interviewed for the ECF�s director of women�s chess post. Another woman, a chess-playing lawyer in her 30s, was offered the �opportunity� to shadow the male candidate who was eventually successful. The ECF Director of Women�s chess has previously held by former England International Master Sarah Longson. However it was abolished in February 2018, after laying vacant for several months, and then only reinstated following a series of complaints. In August 2018, Azerbaijani grandmaster Shakhriyar Mamedyarov, ranked #3 in the world, complained on his Facebook page that he was tired of playing tournaments so often and continues to do it just for the sake of money. He also added that he does not have a sponsor, and travels to all these tournaments at his own expense. He wrote on his Facebook page, �It�s a great pity to admit it, but I�m fed up with chess! I�m tired, and tomorrow I must play again. Sometimes I think about how there aren�t any athletes stronger than me in Azerbaijan, yet there is not a single sponsor for me? My love for Azerbaijan is boundless, but my strength is not. One day I will no longer be that Shahriyar Mamedyarov, and there will be no meaning in all these conversations.� He also complained about terrible fatigue after a five-hour battle with Norwegian chess grandmaster and current world champion Magnus Carlsen. If you want to file an ethics complaint with the United States Chess Federation (USCF), here are the steps. To file a formal ethics complaint, contact office Liaison, Judy Misner by email (jmisner@uschess.org), phone (931.787.1234, Ext. 126), or regular mail to the US Chess office in Crossville, TN. Mark the envelope to the attention of Judy Misner, who is the Committee�s liaison in the office. All complaints and responses should be typed. In addition to submitting your complaint you must also mail a $50 check to US Chess as a good faith deposit. The fee is subject to change as determined by US Chess. The deposit will be returned unless the ruling authority finds the complaint to be frivolous and rules that the deposit is to be forfeited. If you decide to make a complaint, you should include with it ALL the evidence you want considered. If you want such material considered, it is up to you to copy this material and send it with your complaint. If you want other individuals to provide statements in support of your charges, we prefer that you obtain them. However, the Committee may agree (but is not required) to ask the US Chess office to contact them and ask for the statements. Note that the committee strongly prefers first-person witness testimony. Do not merely report what a witness said or e-mailed to you; ask them for a full written statement in their own words and provide a copy with your complaint. Once the complaint is received in the US Chess office, the following procedure takes place. First, a copy of the complaint will be sent to every member of the Ethics Committee and they will examine it to determine if it falls within their jurisdiction. If they vote that it does not, you will be notified and that will be the end of the matter. If they vote that it does, the complaint will then be sent to the respondent(s) with a request for a formal response by a given deadline. When that response is received, it will be sent to you and you will have the opportunity to make a rebuttal. Finally, your rebuttal will be sent to the respondent(s) who will get the last word. When all four of these documents (complaint, response, rebuttal, and final statement) have been received at the US Chess office, a packet will be made up and sent to both parties and to every member of the Committee. The Committee will then consider the evidence and take a vote and all parties will be notified of the decision. If the Committee finds that a violation has occurred, they can recommend sanctions to the Executive Board, including a reprimand, a censure, or even suspension or revocation of US Chess membership. Please note however, that when the respondent(s) is/are a member of the Executive Board, they can recommend only a reprimand or censure; if they wish to suggest more serious sanctions, these must be referred to the US Chess Delegates for action. Once the decision letter is provided to the complainant and respondent(s), if sanctions were recommended against the respondent(s), the respondent(s) has/have 30 days from when he/she was notified of the recommended sanctions to submit an appeal of the decision to our Executive Board through the US Chess office. No appeals shall be permitted in cases where the Ethics Committee has found in favor of the respondent(s) and has recommended no sanctions. If the respondent(s) chooses to submit an appeal it needs to be submitted to: US Chess, Attn: Judy Misner, P.O. Box 3967, Crossville, TN 38557 or submit by email to: Executive Director, Carol Meyer at: carol.meyer@uschess.org �and Judy Misner at: jmisner@uschess.org. To file a rules complaint with the USCF, here are the procedures. US Chess maintains a standing Rules Committee to review questions pertaining to the rules of play. In case of doubt as to the application or interpretation of these rules, the US Chess Rules Committee will examine the case in point and render an official decision. 2. A parent or coach on behalf of a player under the age of�16. To file a formal rules complaint, contact office Liaison Judy Misner by email (jmisner@uschess.org), phone (931.787.1234, Ext. 126), or by regular mail to the US Chess office in Crossville, TN. Mark the envelope to the attention of Judy Misner, who is the Committee's liaison in the office. All complaints and responses should be typed. In addition to the complaint, a $50 good faith deposit check must be included. The fee is subject to change as determined by US Chess. The deposit will be returned unless the ruling authority finds the complaint to be frivolous and rules that the deposit is to be forfeited. The complaint should make specific reference to the section(s) and rule(s) from the Official Rules of Chess which apply. It should include ALL the evidence you want considered. The Committee will not research web sites, newsgroup postings, etc. It is up to the complainant to include all material to be considered, to include statements by other individuals supporting the case. In certain situations, the Committee may ask the US Chess office liaison to contact other individuals for statements. If the Rules Committee recommends sanctions against the respondent(s), he or she has 30 days from the date the decision letter is sent (to both complainant and respondent(s)) to submit an appeal to the US Chess Executive Board through the US Chess office. No appeals shall be permitted in cases where the Rules Committee has ruled in favor of the respondent(s) and has recommended no sanctions. Appeals to Rules Committee decisions must be submitted to US Chess, Attn: Judy Misner, P. O. Box 3967, Crossville, TN 38557 or by email to:� Executive Director, Carol Meyer at carol.meyer@uschess.org and Judy Misner at jmisner@uschess.org.